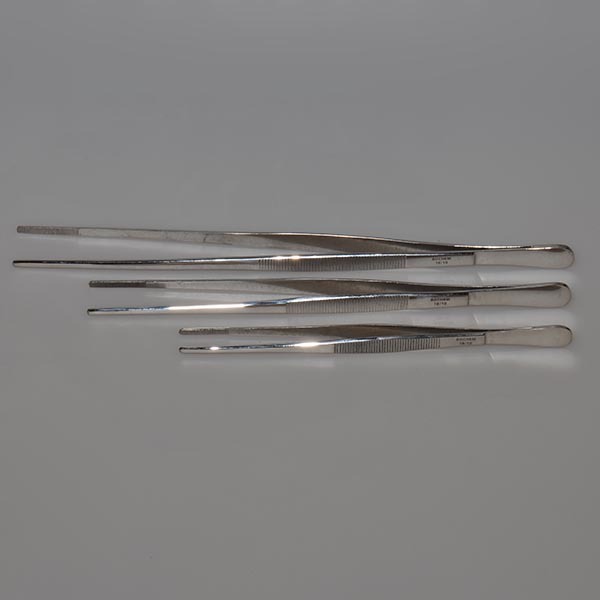 Stainless steel tweezer, 20 cm long, round, gripping tip round, ribbed. Stainless steel 18/8 non-magnetic. Picture show the available options in 20, 25 und 30 cm length.